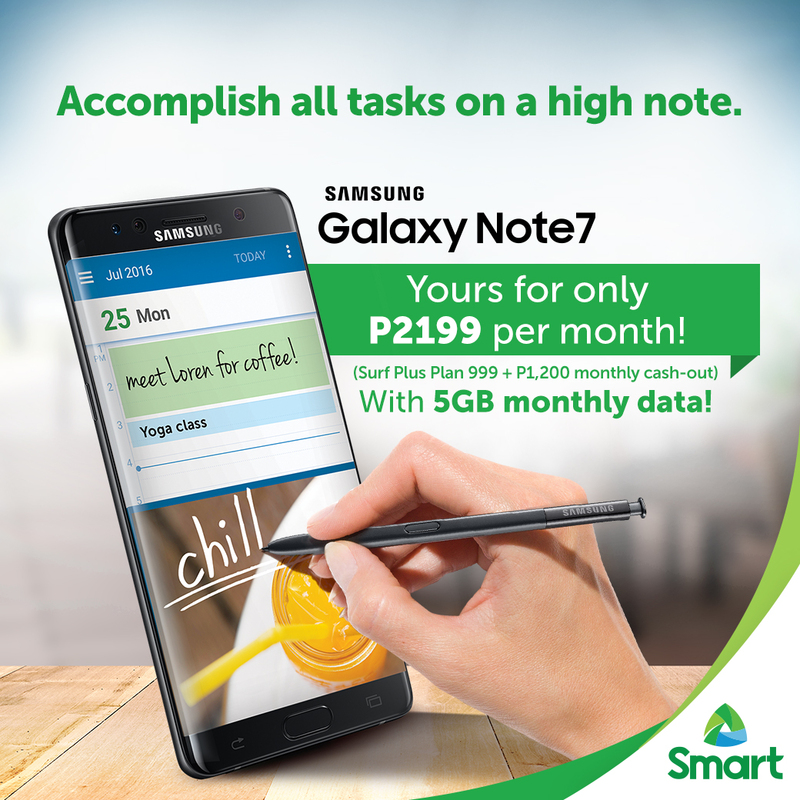 Leading mobile services provider Smart Communications Inc. (Smart) unveils its unbeatable offers for the much-anticipated Samsung Galaxy Note 7. Beginning August 6, pre-registration links are up for both Smart Postpaid and Smart Infinity. Approved postpaid pre-orders from August 6 to 19 will also receive a free Samsung battery pack and clear case. This is for the following Smart Wireless and Business Centers: SM Megamall, Rockwell Powerplant Mall, SM Aura, SM North EDSA, SM Baguio, SM Clark, Festival Mall, Molito, SM Cebu, SM Davao, and the Smart Online Store. Those who pre-order and get their applications approved via the Smart Online Store can get their Note 7 units as early as August 17. For Smart Infinity, two Galaxy Note 7 devices may be enjoyed with the Roaming Plan 8000 (24 months) or a Galaxy Note 7 and a Galaxy S7 for the Roaming Plan 5000 (30 months). Members may experience their new devices with discounted outbound roaming rates, 15GB data allocation, and a hefty monthly consumable allocation. New Plan 5000 and Plan 8000 members from August 6 to Aug 19 will also receive a complimentary Level Box Pro speaker. “Smart Infinity ensures our members enjoy the latest gadgets and fast mobile data that they deserve. 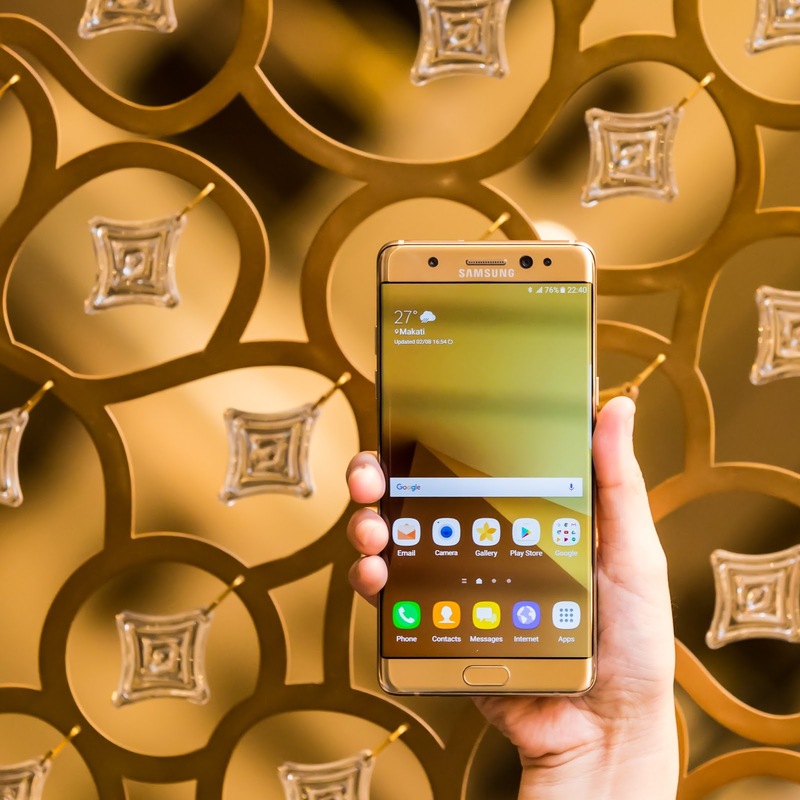 The Galaxy Note 7 coupled with Smart's ultra-fast LTE technology is definitely a worthy addition to our line-up,” said Julie C. Carceller, Head of Smart Infinity.